5-AXIS DOUBLE COLUMN MACHINE CENTER HIGH-SPEED performance Linear motor drives Reliable - Long Life expectancy Rapid feedrate: 60m/min Fast and accurate the best performance for our machine tools Direct-Drive motor two-axis milling head Direct Drive tecnology for superior surface quality and highest dynamic. Applications for: Suitable for: Automotive plastic injection mold core, Lamp mold. Aircraft aluminum structure, Wing rib, Floor beam. Mechanical component and electronic componrnt mold. OPTIMIZE STRUCTURAL DESIGN HIGH-RIGIDITY structure WIDE OPENING DOOR Interference free by a large opening door. It will be easy for loading and unloading. A Solid Bridge Closed one-piece base and column to show the best structural stiffness. 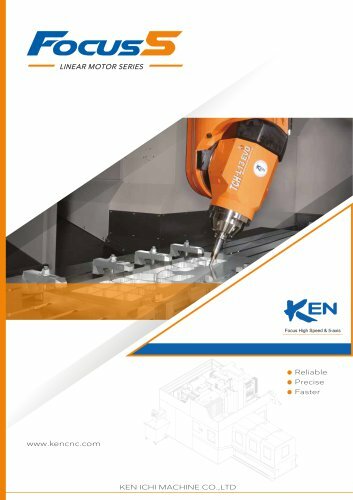 Structural Analysis Software with numerical technique FEM Advanced FEM analysis and design to optimize higher rigidity, response and provide stability of high speed cutting.